Prof. Dr. Niels H. Chavannes MD, PhD, graduated in Medicine at Maastricht University in 1998. He combined his specialization as a Family Physician (2003) with several diagnostic and therapeutic studies in primary care, resulting in his 2005 PhD thesis: “Tracking and treating COPD in Primary Care: An integrated approach to diagnosis and therapy” at the CAPHRI Research Institute of Maastricht University, the Netherlands. In Rotterdam he was involved in setting up an innovative multidisciplinary health care center in a deprived area, and worked there as a Family Physician for four years, followed by two years as a Consultant Family Physician at United Family Hospital in Shanghai, China, combined with an Assistant Professorship at Leiden University Medical Center. In 2010 he returned to the Netherlands as an Associate Professor, coordinating several (inter)national clinical research projects, and teaching on chronic disease management, eHealth applicability, therapy adherence, and smoking cessation strategies. 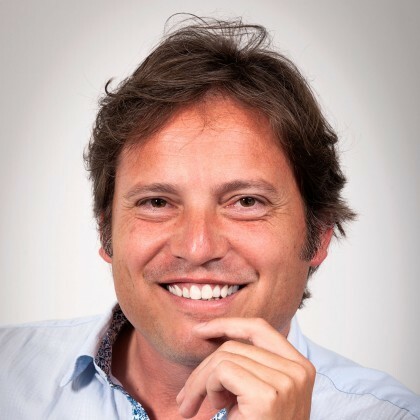 In 2015 he was appointed as a Full Professor of Primary Care Medicine, Strategic Chair of eHealth Applications in Disease Management, and in 2016 he became Head of Research at the Department of Public Health and Primary Care, Leiden University Medical Center. He is also appointed as Visiting Professor at the Respiratory Research Institute at Fudan University, Shanghai, China. He enjoys working as a part-time Family Physician in his residence Zeist, the Netherlands, and is the Vice-Chair of the Dutch Asthma and COPD Advisory Group (CAHAG) and the National Advisor of the Dutch Action Programme on Chronic Lung Diseases of the Lung Alliance Netherlands (LAN). He published over 160 peer-reviewed articles on topics like eHealth, adherence, rehabilitation, asthma, COPD, smoking cessation, self-management and disease management programs in primary care. He contributed to 17 books as first author and six books as second or last author. He has been a member of over 60 different committees and raised over € 24 million in funding over the past 15 years.